Hands On London #WrapUpLondon: Massive Thank You to all Readers who got involved! On behalf of Hands On London #WrapUpLondon team. 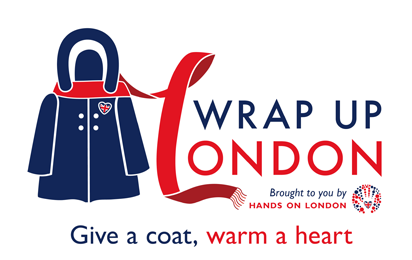 If you did not manage to donate your coats you can find out more information here about how you can do a good cause for Hands On London Campaign. As well as finding more information about other projects Hands On London are running. Thank you to all the readers who have got involved!